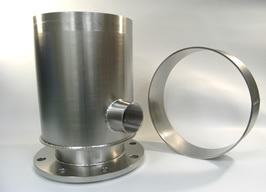 Recently extreme high vacuum (XHV) environment is required in the most-advanced science and technology such as semiconductor manufacturing devices, analysis equipments and particle accelerators. 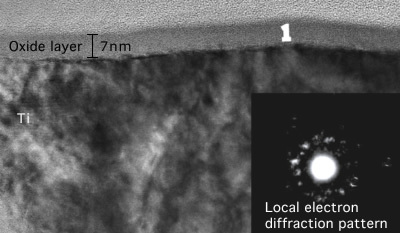 From this, titanium (Ti) with a good vacuum property attracts attention. 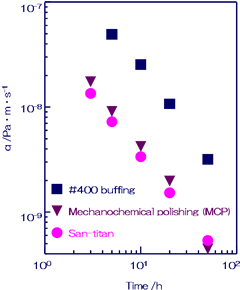 We have developed “San-titan” which is chemical polishing (CP) process for exclusive use of Ti with Yamaguchi University. 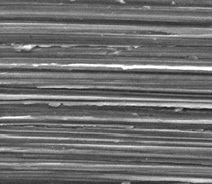 Comparison of Ti surface with various treatments. Outgassing rate is equal to mechanochemical polishing (MCP) treated sample ! 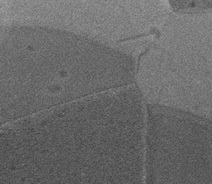 Cross-sectional TEM micrograph, nearly surface region after San-titan. 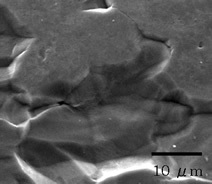 After San-titan, the surface was covered by homogeneous oxidized layer. Therefore it is suppressed that the outgassing from inside of metals.